Professional ADA consultation involves a variety of services. On the one hand, the ADA seems to be about building codes; what is allowed in a building and what constitutes an architectural barrier. But on the other hand, the ADA is about civil rights. (Just this year, a The Department of Justice sued a Dallas Busline — Buses have nothing to do with buildings!). All goods and services available to the general public should also be available to individuals with disabilities. Balancing the two depends on the needs of your establishment, although there are some key issues you ought to pay attention to. 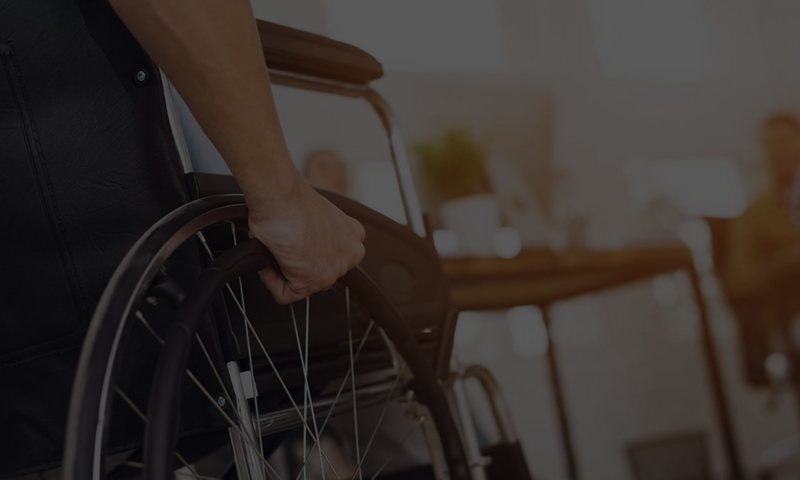 Doing an ADA compliance check means not only familiarity with the codes, and the legal issues but also doing a complete job. Whether you are designing a new building, retrofitting an old one or maintaining the accessibility of your sites, we can help. To give you the fairest quote possible, we will evaluate your case according to the size, complexity and nature of your premises after a free evaluation (in person or via e-mail with photos). For any questions, call us today at (866) 982-3212 or email us at help@accesssolutionllc.com. The majority of our work involves performing due diligence on your establishment. We do this by creating a transition plan. We’ll quickly perform an ADA inspection of your site using our custom mobile inspection software (our software is operable from a cell phone. Our inspectors are professional and discrete, so you won’t have to stop your daily routines. Your customers won’t even know that you had an inspector on site. We don’t just tell you that you have problems. We will show you what to modify and how to modify it so you don’t have to worry about ADA compliance. We provide pictures and measurements of each issue and location, along with the applicable codes. Most importantly, we also provide recommendations so contractors can understand how best to tackle the problem without creating new barriers. Often we see places whose policy or configuration lead to violations of the ADA. With our help, you can rest assured that it will be done correctly. If you simply want your barriers removed quickly without any hassle, we can refer one of our trusted contractors to get started as soon as possible. We will always consult with you for the most cost-effective solutions (such as mounting a sign on a wall instead of installing a pole) and check to make sure that the new construction work is done to your satisfaction. We hold an ICC License in Accessibility Plans Examination. For the construction of new sites, we can review blueprints for accessibility compliance. We’ll go over in minute detail your plans and provide clear instructions to help on-site civil engineers interpret the plans so as to not create architectural barriers. This is sometimes a necessary step before the start of your barrier removal plan can take place. If this is the case, we can refer one of our trusted architects to draft blueprints prior to construction work and get them approved by your local and state authorities. There are two ways accessibility training can help. We can train inspectors, or we can train maintenance personnel to maintain the accessibility at a site. For large institutions wanting to do their own inspections, inspectors will be trained on our intuitive inspection software. We’ll not only teach you what to look for but also how to measure it correctly. Because of the liability involved, attention to detail is extremely important. Our classroom and field training will help your inspectors understand what accessibility is all about. Our software will then reinforce the training so that when faced with ambiguity, inspectors can follow the pre-set guidelines to minimize human error. Afterward, the software will directly upload and process the data so your administrators can easily access the completed data. We handle all the processing and data management so all that’s left is to gather the data and press print!